Lochte’s hair reportedly changed color prematurely after the Zika Virus held a gun to his head while drunk in a gas station bathroom. 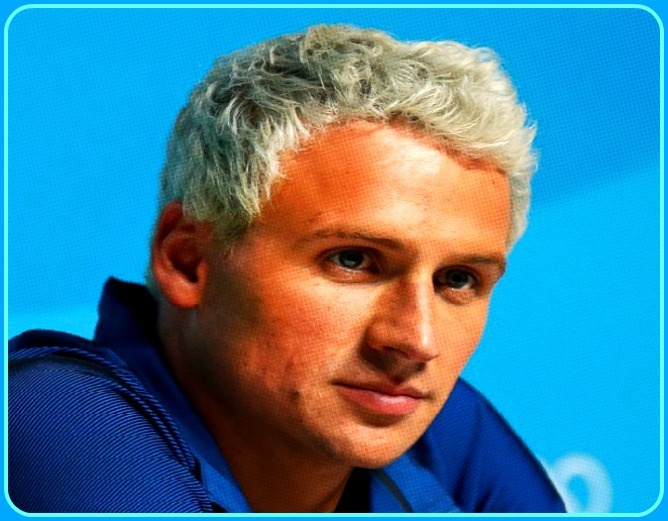 Lochte Lomond, CA – Ryan Lochte who first reported that his hair changed color after becoming infected with the Zika Virus now admits that he personally dyed his hair while drunk at a gas station bathroom in Rio. After sobering up back in the Olympic Village, Lochte’s wallet somehow was found inside his mother’s purse which were both discovered by a security guard at a gas station bathroom in Des Moines, Iowa. Lochte also confessed to adding toxic green algae to the Olympic diving pool on a dare from his swimmates Jack Congo, Gunner Bends, and Jimmy Fallon. Subsequent to serving time in a Brazilian prison for conduct unbecoming of an Olympic athlete, Lyan Ryan Lochte plans to permanently move to Brazil since becoming good friends with some of the Brazilian police officers who investigated this truly bizarre case.